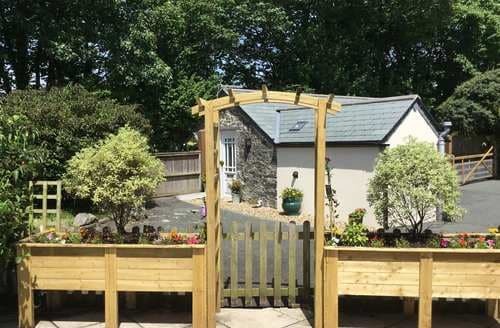 What our customers are saying about our Holiday Cottages In Withiel To Rent. 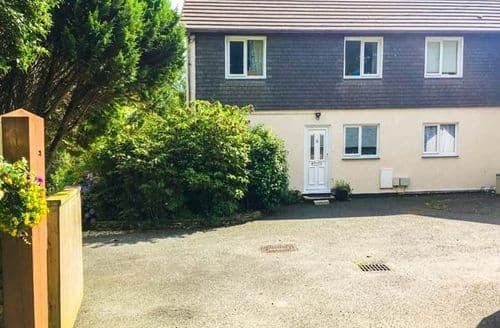 "The cottage location was ideal. It was within the premises of Hustyns Hotel and Spa. The pool was amazing for the children. They spent most of the week in it. They are currently under new management so the restaurant and bar were closed during our stay. Also, the hotel grounds are in desperate need of some attention as well as the mini golf, tennis courts, play ground and football area. The cottage itself was similar to the photos except for a list of issues we encountered upon our arrival: dripping faucets, toilet seat broken, lightbulbs needing replacing, very squeaky floors upstairs, broken handle on window, lost internet coverage during stay, no cel phone reception at all, upstairs balcony very dirty, bath spa not working, tv remote control not working, dirty windows, etc. We sent an email to Sky Cottages on Sunday night and they phone on Monday morning asking what we wanted them to do regarding the issues. Advised them to please correct them ASAP. Never heard from them during our whole stay. Never sent anyone to address them. Their Customer Service is appalling. On our departure day, the cleaning people showed up at 930, rang the doorbell and started putting all their bedlinens and buckets on the front door. Departure was scheduled for 10 am, so extremely rude to have done so. I recommend they get this property up to better standards and improve their Customer Service." "The grounds on the estate appear to be less well tended than last year.Very quiet and peaceful. Lovely surroundings. Loads of space and the bathrooms were amazing.Lovely location, peaceful and relaxing which is just what we wanted. Fantastic large bathrooms. Great location for exploring local seaside resortsI don't think the description or photos of the property do it justice. It exceeded my expectations in every way. The beds were extremely comfortable with the best linen. The garden was actually private and not overlooked at all. Squirrels came every day and knocked at our door to be fed which the children loved. The private sauna and massive whirlpool bath were a real treat. The management company left us gifts and when we had a problem they came promptly to repair it. 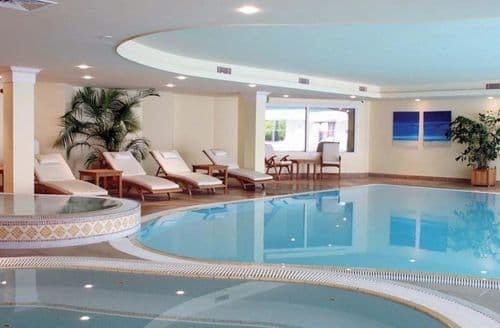 We were fascinated with the location, the closure of the hotel did not bother us as we found the almost empty facilities a real treat, often having the swimming pool completely to ourselves. We wanted remote, peace and quiet and we got exactly that but with the advantage of WiFi! My suggestions for improvements would be a new TV in the lounge as the guide does not work and possibly some new lamps in the bedrooms as we found them a little temperamental. 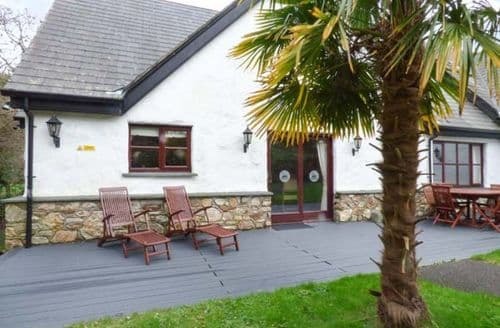 Overall the place was a delight and I would not hesitate if you are looking for a secluded, peaceful place with excellent leisure facilities.”"
"It was within the premises of Hustyns Hotel and Spa. The pool was amazing for the children. They spent most of the week in it. They are currently under new management so the restaurant and bar were closed during our stay. Also, the hotel grounds are in desperate need of some attention as well as the mini golf, tennis courts, play ground and football area. The cottage itself was similar to the photos except for a list of issues we encountered upon our arrival: dripping faucets, toilet seat broken, lightbulbs needing replacing, very squeaky floors upstairs, broken handle on window, lost internet coverage during stay, no cel phone reception at all, upstairs balcony very dirty, bath spa not working, tv remote control not working, dirty windows, etc. We sent an email to Sky Cottages on Sunday night and they phone on Monday morning asking what we wanted them to do regarding the issues. Advised them to please correct them ASAP. Never heard from them during our whole stay. Never sent anyone to address them. Their Customer Service is appalling. On our departure day, the cleaning people showed up at 930, rang the doorbell and started putting all their bedlinens and buckets on the front door. Departure was scheduled for 10 am, so extremely rude to have done so. I recommend they get this property up to better standards and improve their Customer Service." "Very quiet and peaceful. Lovely surroundings. Loads of space and the bathrooms were amazing.Lovely location, peaceful and relaxing which is just what we wanted. Fantastic large bathrooms. Great location for exploring local seaside resortsI don't think the description or photos of the property do it justice. It exceeded my expectations in every way. The beds were extremely comfortable with the best linen. The garden was actually private and not overlooked at all. Squirrels came every day and knocked at our door to be fed which the children loved. The private sauna and massive whirlpool bath were a real treat. The management company left us gifts and when we had a problem they came promptly to repair it. We were fascinated with the location, the closure of the hotel did not bother us as we found the almost empty facilities a real treat, often having the swimming pool completely to ourselves. We wanted remote, peace and quiet and we got exactly that but with the advantage of WiFi! My suggestions for improvements would be a new TV in the lounge as the guide does not work and possibly some new lamps in the bedrooms as we found them a little temperamental. 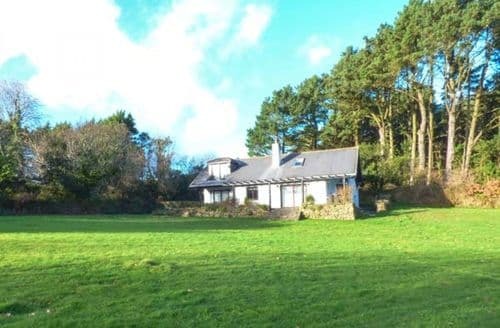 Overall the place was a delight and I would not hesitate if you are looking for a secluded, peaceful place with excellent leisure facilities.”"
"Lovely location, peaceful and relaxing which is just what we wanted. Fantastic large bathrooms. Great location for exploring local seaside resortsI don't think the description or photos of the property do it justice. It exceeded my expectations in every way. The beds were extremely comfortable with the best linen. The garden was actually private and not overlooked at all. Squirrels came every day and knocked at our door to be fed which the children loved. The private sauna and massive whirlpool bath were a real treat. The management company left us gifts and when we had a problem they came promptly to repair it. We were fascinated with the location, the closure of the hotel did not bother us as we found the almost empty facilities a real treat, often having the swimming pool completely to ourselves. We wanted remote, peace and quiet and we got exactly that but with the advantage of WiFi! My suggestions for improvements would be a new TV in the lounge as the guide does not work and possibly some new lamps in the bedrooms as we found them a little temperamental. 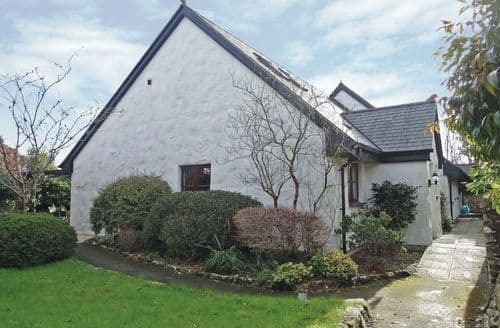 Overall the place was a delight and I would not hesitate if you are looking for a secluded, peaceful place with excellent leisure facilities.”"